Who said you can’t learn while you have fun? Virtually no one, that’s who. Early education strives to provide fun, play-based learning environments because children are more likely to absorb and retain information that way. 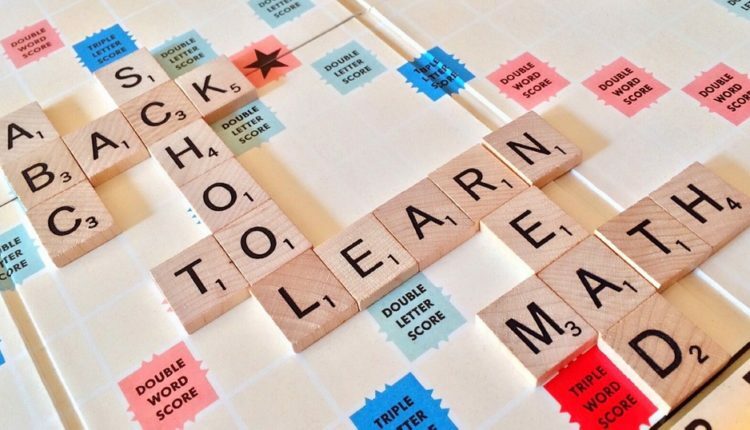 You can bring the same teaching style into your home by introducing your little ones to some classic board games. While they may seem like mindless fun, games like these can actually teach your children some pretty important skills. So reach into your closet, dust off these gems and gather the family for a fun and educational game night! Nothing brings a family together like a good ol’ game of Monopoly! This classic board game was started as a game called “The Landlord’s Game” created by Lizzie Magie in 1903. The game was designed to promote Georgism, an economic philosophy that states people should own the value of what they produce but land value should be shared. Fast forward to 1935 when Parker Brothers revamped the game and published it as “Monopoly”. They named it after the concept of “monopoly” – the concept of an entire market being dominated by a single entity. What can my child learn? Other than how to hate their family members, your child can pick up on basic money skills such as handing cash, managing cash flow and saving money. They will also learn some math skills as well as negotiation skills and the costs and benefits of taking risks. Known as “Cluedo” in England, this game was originally released in 1949 and featured 10 characters with one character randomly designated as the victim at the beginning of the game. This was eventually changed to include 6 playable characters with Mr. Boddy (or Dr. Black in the UK) as the victim. For younger children, there is an opportunity here to pick up on some basic reading skills and word association. For example, each character is named after a colour, so your little one may be able to distinguish Mr. Green from Mrs. White while reading the cards. On a more advanced level, Clue is a great game for teaching deductive and logical skills. Players must work through a list of suspects, rooms and weapons to determine who the murderer is. Speaking from personal experience, be sure to divide the character, weapon and room cards before randomly selecting the ones that go into the envelope. The first time I played as a kid we completely forgot that step – and poor Mr. Boddy ended up dragged to death through 3 different rooms by absolutely nobody. Did you know that “scrabble” is a word that describes “scratching frantically”? The game was originally named “Criss-Crosswords” when invented in 1938 but underwent a name change when the rights were sold in 1948. Spelling. Scrabble is a word game so it creates the perfect opportunity to spell and read words. It even provides a lesson in basic math as players add up the value of each tile to determine their score. These games may seem a little advanced for little ones of preschool age (and even early school aged). The beauty of the game industry is that most classic games geared toward adults have “junior” versions that are simplified for younger players. If you don’t have, or cannot acquire, these “junior” versions, feel free to modify the rules to accommodate your child’s level of development. Scrabble doesn’t have to be played with connecting words and, please, don’t make your 5 year old pay hotel fees in Monopoly.